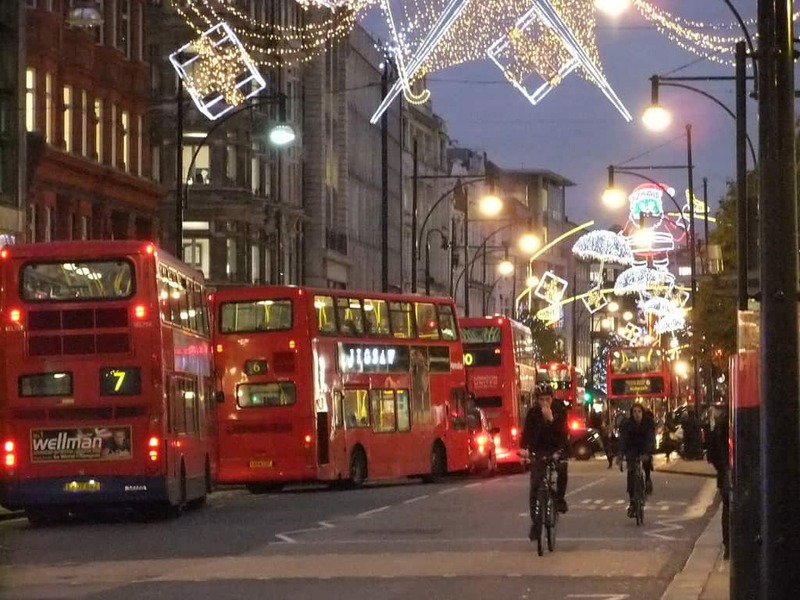 The excitement is building in London as the capital begins its countdown to Christmas with an array of yuletide entertainment that’s sure to tempt every Mom and kid. If your travel dollars can stretch a little further this season (or next), a trip across the pond would be a memory to treasure and an opportunity to add some great photos to the family album. There are so many goodies on offer that it’s hard to pick out just a few, but here’s my seasonal selection which I hope will provide variety and entertainment for all. Much of London is free including street markets, art galleries, parks, and some museums. Just wandering the city in the winter months provides a feast of visual entertainment. 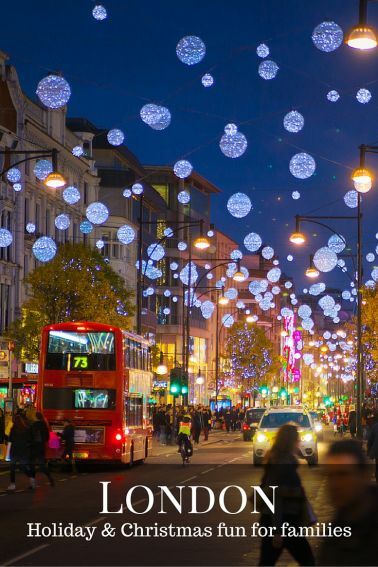 Why not soak in Christmas in London this year! 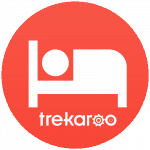 We’re an affiliate of Booking.com which means you get the same lowest prices, but our kangaroos get a little stocking stuffer for the holidays. Walk down Oxford Street and marvel at the unusual window displays created by photographer and film writer Bruce Weber in Selfridges department store. There are miniature ponies, a huge gingerbread house, a Christmas sleepover scene and other delights. Sniff the marzipan and ginger cake scent wafting through the doors before admiring the illuminations of Oxford Street. Mary Poppins umbrellas twinkle above your head alongside huge bows, presents, and chandeliers. Nearby Carnaby Street is rocking-around-a-Christmas-tree themed with Rolling Stones memorabilia. Half way down Oxford Street you can take a right on to Regent Street and visit the legendary Hamleys toy shop. Four floors of kiddy heaven are on offer complete with a magical grotto that offers an hour with Santa and his elves, complete with a meal and a present. The only drawback of this nice idea is the slightly shocking price of £45 but hey your kid will grow up soon and you don’t often get invited to lunch with Santa. One adult can go in with the child. Visit Hamleys online for booking. 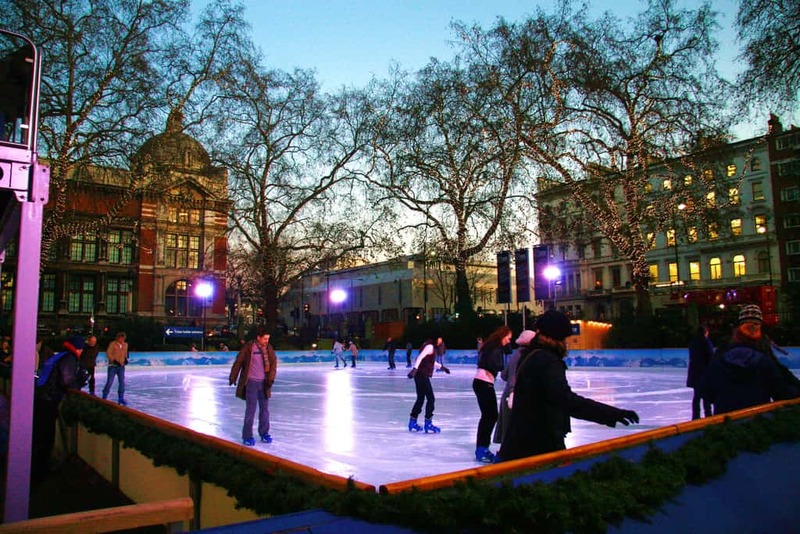 There are several ice-skating rinks in London including Hyde Park’s Winter Wonderland, Somerset House, and the Tower of London. I recommend the one at the Natural History Museum which has a smaller rink for children, a Christmas tree in the center and a fairground carousel. There’s also a balcony to sit on and watch the action while sipping a mulled wine. The other advantage is that you can slip into the museum itself if it rains as entry is free. This beautiful church sits on the corner of Trafalgar Square and is renowned for its classical music concerts. It is offering Carols by Candlelight throughout December in addition to its usual repertoire. 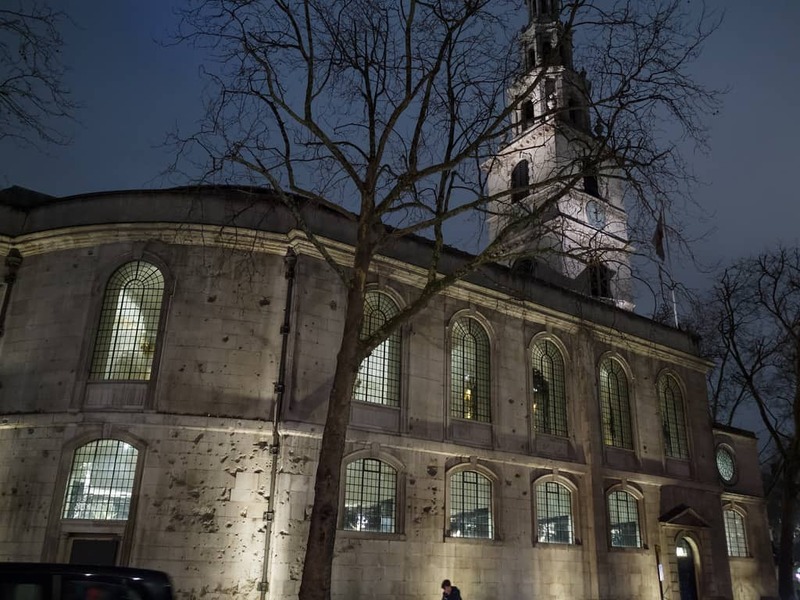 Check out St Martins-in-the-Fields for the program. There is a lovely cafe in the basement and some unusual artwork. Its location makes it a perfect addition to a visit to the National Gallery ( just over the road—free entry ) and a wander down Pall Mall to gaze at Buckingham Palace. Just next door is St. James Park with its lake and playground. The breadth and depth of London’s history surround you at every step. 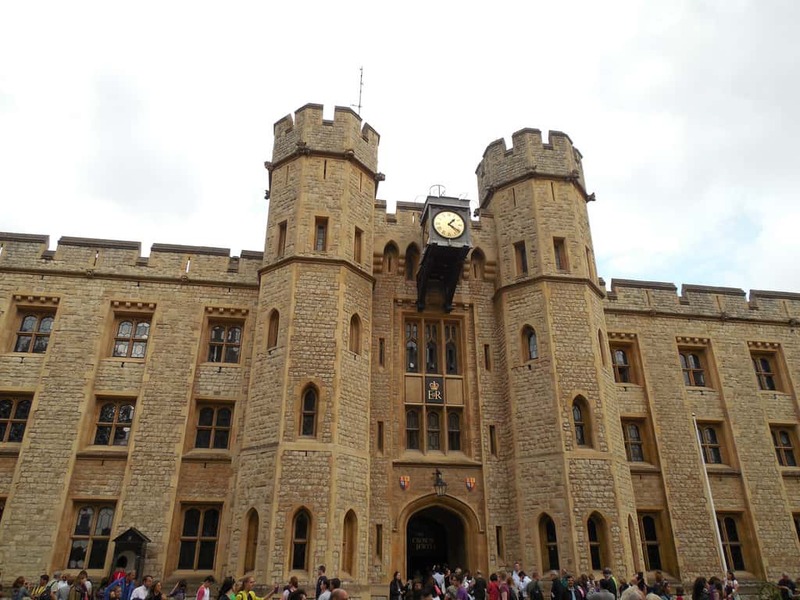 The Tower of London is one of the most visited sites in Britain and houses the Crown Jewels including the worlds most famous diamonds. Take a tour with a Yeoman Warder who will entertain you with tales of Kings and Queens and ghostly wanderings. Tickets are £9 per child and £18 per adult. Consider a Time Walk with the Dickens London Tour or Ye Olde City of London Walk for a guided trip through the past. Alternatively, visit Borough Market which dates from 1755 for some amazing street food. Check out other free things to do in London while you are visiting. 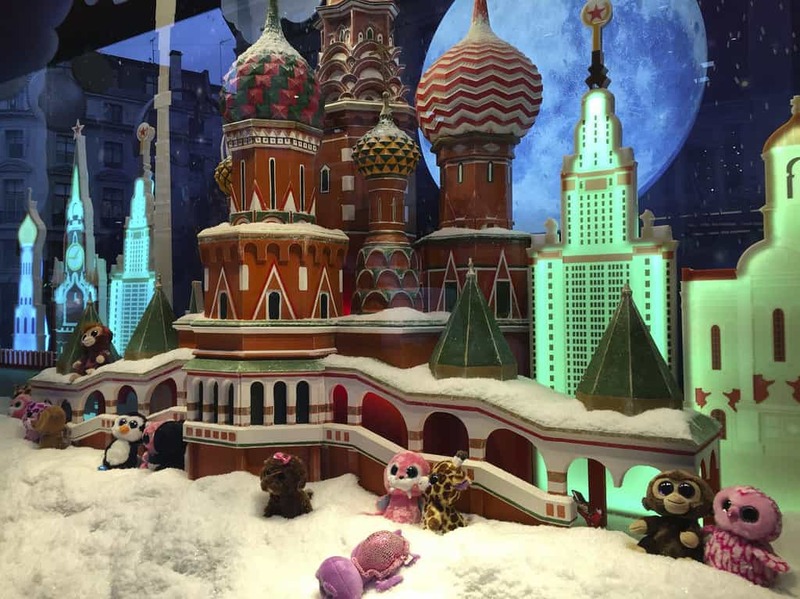 Why not soak in every bit of Christmas spirit in London for the Holidays? This hotel and apartment in the heart of Central London are highly rated by families.